MUMBAI: Gearing up for a bigger play in the free-to-air (FTA) market, Star India is planning to launch an FTA Hindi movie channel under the name Star Utsav Movies. Star Utsav is the FTA Hindi GEC brand of Star. The channel is most likely to launch in May–June, a source close to the development told TelevisionPost.com. It will have a mix of old and new movies. “We are launching an FTA movie channel Star Utsav Movies in May or June. It will have a mix of old and new movies. It will be available on Freedish. The channel is still under works,” the source stated. The broadcaster has secured the Ministry of Information & Broadcasting (MIB) clearance to rename Star Gold Romance as Star Utsav Movies. In February, it received a licence from the MIB under the name Star Gold Romance. 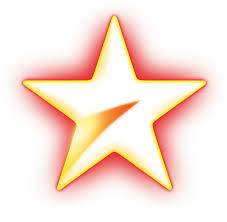 Star has already booked a slot on Doordarshan’s FTA direct-to-home (DTH) platform Freedish for the channel. The source said that the plan was always to launch the FTA movie channel under the Star Utsav brand. “The licence was earlier under Star Gold Romance, but recently we got MIB clearance to change the name to Star Utsav Movies. The FTA movie channel was always supposed to be under the Star Utsav brand,” the source stated.